The Instructor Dream Team Is Back! Reunited … and it will feel so good. The ultimate Flex retreat is coming this month. Back together again are popular instructors Michelle Ricaille (former Flex yoga instructor, now living in London) Heather Thomas Shalabi (Pilates and Flex director) and Mika Childs (Yamuna® Body Rolling teacher and Flex workshop facilitator). 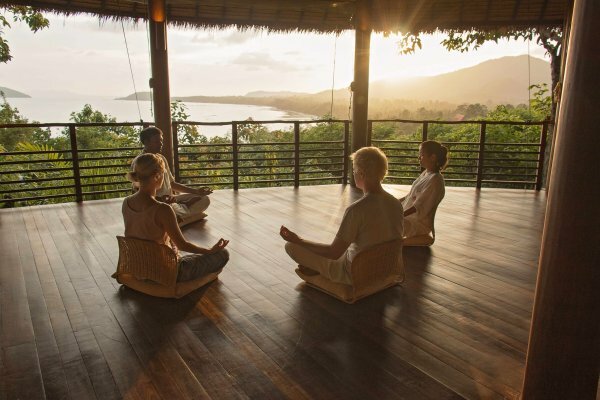 The three will facilitate complete immersion in Flex’s Cleanse and Energize Retreat, Kamalaya Wellness Sanctuary, Koh Samui(https://www.kamalaya.com/) running from April 30-May 5. Together, they form an instructor dream team that – in six days – will get your fitter, healthier, stronger and more energetic, while also ensuring total relaxation. Flex has been running retreats at Kamalaya for years and it knows what clients want and need from this intensive program. And all this comes alongside delicious vegetarian food, spa treatments and luxurious surroundings. 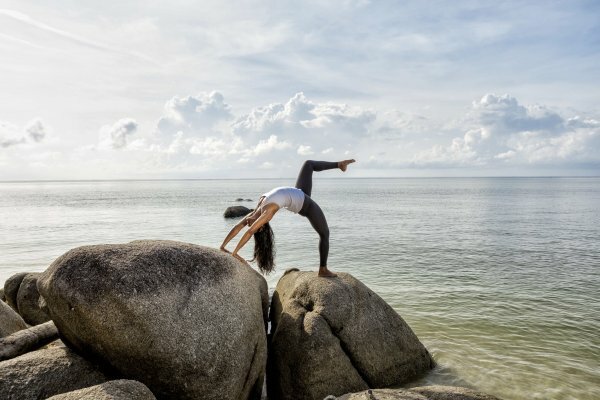 For example, your day will start with an energetic Pilates practice and a healthy breakfast, followed by the healing experiences of Kamalaya’s spa. After lunch, chill out by the beach or pool, kayak the lagoon, or indulge in signature wellness treatments especially handpicked by Heather. Your afternoon finishes with a holistic yoga practice, incorporating Hatha asanas, Pranayama and Yoga Nidra. Finally, complete your dream day with a light but satisfying dinner. Yamuna Body Rolling® workshops will also be offered during the retreat (concentrating on upper and lower body) as well as one private Yamuna Body Rolling® session with Mika. Furthermore, upon arrival, participants undergo a Bio Impedance Analysis and Wellness consultation with a Kamalaya naturopath, to set the course for his/her eating plan throughout the duration of the retreat. “With a deeper understanding of these highly synergistic disciplines, participants will bring more to their mat in every subsequent practice, reaping huge physical benefits and minimizing injury potential…along with an inner glow that doesn’t fade,” adds Heather.